Studs have been in the fashion spotlight for a while now, but this season they are one of the most popular trends when it comes to accessories. 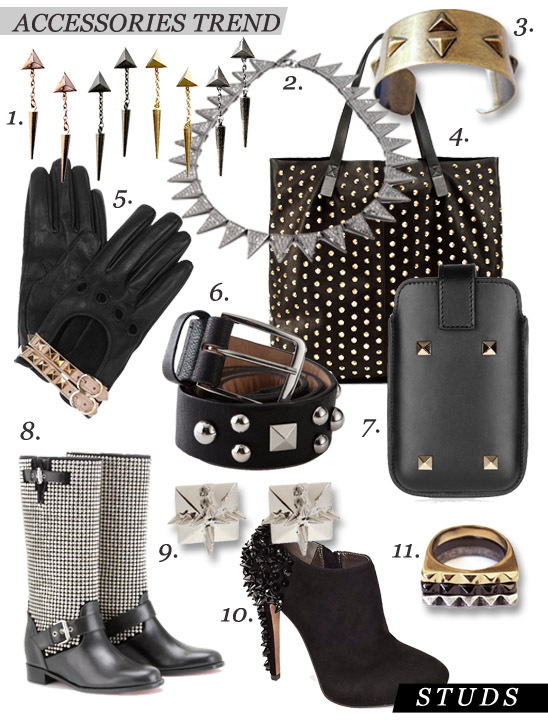 From jewelry and shoes to leather gloves and even iPhone cases, nearly everything has a studded accent. Accessories are a great way to express your own personal style, and these studded accent pieces will help you do just that. Whether you want to add a subtle edge to a simple conservative style or go for a bold biker-chic look, here are some great studded pieces to help you toughen up your winter wardrobe.